The Doctrine of Philosophical Necessity Illustrated: Being an Appendix to the Disquisitions relating to Matter and Spirit. 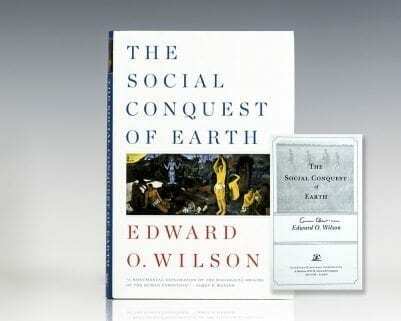 To which is added An Answer to the Letters on Materialism, and on Hartley’s Theory of the Mind. First edition of one of the major metaphysical works of 18th-century British polymath Joseph Priestley, which influenced the 19th-century utilitarians John Stuart Mill and Herbert Spencer. 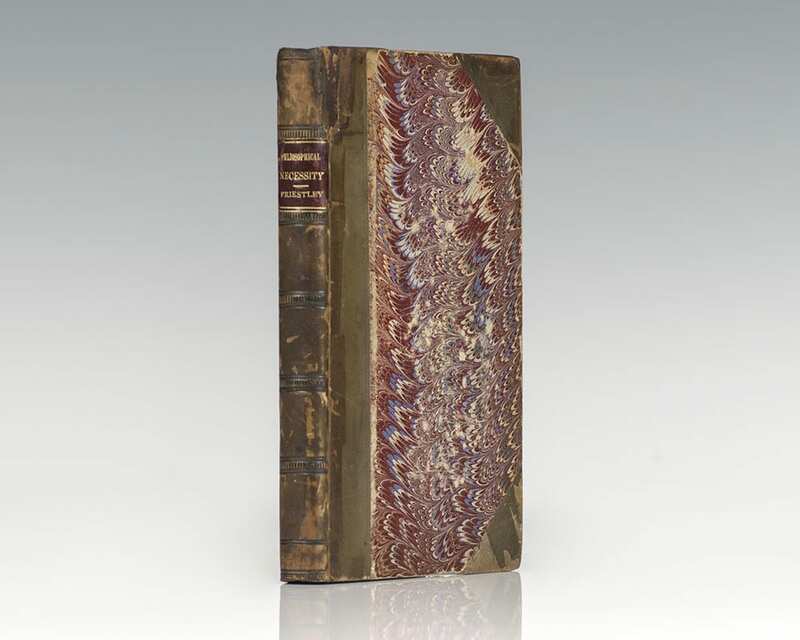 Octavo, bound in three quarters 19th century calf over marbled boards, all edges marbled. In excellent condition, contemporary name on the title page, a nice clean example. 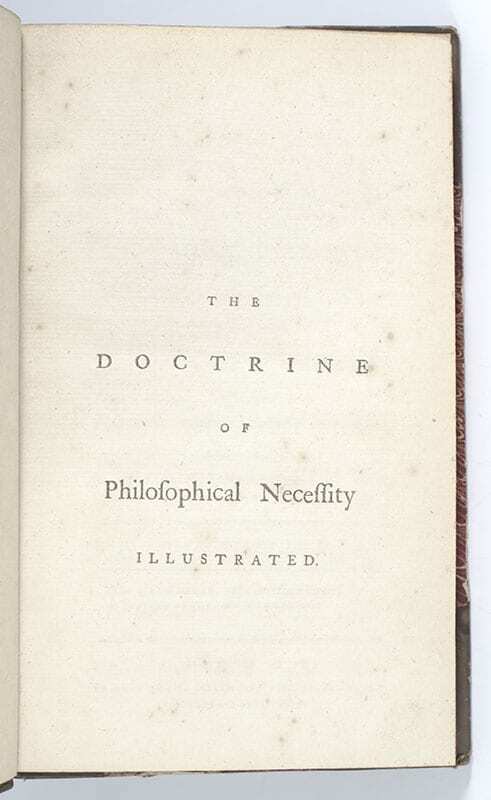 The Doctrine of Philosophical Necessity Illustrated is an important work by Priestley, the theologian, natural philosopher and chemist. Priestley's defense of necessity was so successful that it overshadowed Hume's view in the free will and determinism debate in the late eighteenth century. "Remembered today primarily for his isolation and identification of seven gases, including oxygen, in his own day he was known also as a vigorous advocate of Unitarianism and of liberal reform of government, education, and theology" (Oxford Dictionary of National Biography).